When your Fisher Price car simply isn't good (or expensive) enough. Have you ever wondered what the children of the world&apos;s wealthiest car collectors drive? I can guarantee you that it isn&apos;t plastic red hatchbacks with yellow roofs from Fisher Price. These children drive expensive and luxurious kiddie cars. The garage of a wealthy tot is awesome to say the least as you&apos;ll soon see. Then again, riding around in something as simple as the aforementioned Fisher Price or even a Power Wheel is more than good enough for must (average) kids. The Porsche Baby 911 Speedster was designed for tots with a need for speed. 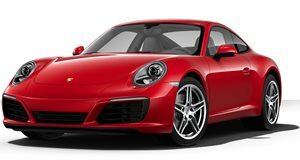 The push car has Porsche&apos;s signature styling and pricing selling for a cool $152. That may sound like a lot for a push-car, but it&apos;s nothing compared to the rest of the cars on this list. The PlaySam Saab Roadster is easily one of the classiest kiddie cars out there. The mini-Saab is made out of wood and was inspired by the Saab 92001. The PlaySam Saab Roadster was designed by Ulf Hansen for kid&apos;s over 12 months and is priced at $390. If I could purchase any car off this list for my childhood self it would be the SelfRidges&apos; Audi kiddie sportscar. SelfRidges mini speed-machine is classy with soft Audi seating and custom Audi rims. The price for all this awesomeness is not cheap ($445), but can you really put a price on an Audi pedal-car? For the price of one D-Type Jaguar Children&apos;s Car you could buy every car on this list several times over. This killer kiddie cruiser is a 2:3 scale replica of the 1995 D-Type "long nose." This childish behemoth is powered by a 110cc electric-start gas engine and sits on an aluminum chassis. The D-Type Jaguar Children&apos;s Car went up for auction late last year where it was priced between $10,000 and $12,000.